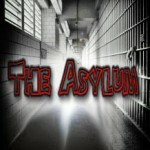 If you want to find out more about the Asylum, read the about page but to sum it up the Asylum is what ever the inmates choose to make it. Chaos – Of German descent, she was a member of the original Asylum and a participant in the Asylum part of the Rydas forum. Spectre – Another original member of the Asylum and occasionally posted on the Rydas forum under the name Charon. You may view one of his blogs here. RW – Formerly known as Geist, Ralph is a very talented rapper. You may view his site here and feel free to check out his final album as Geist: R.I.P. VegaX – VegaX brings the underground hustle and guerrilla mentality to the Asylum. Check out his myspace page here. 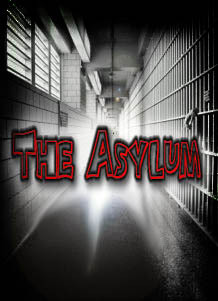 kat – kat predates that Asylum and Rydas.Com. That makes us both old. Uncanny Iowan – The Uncanny Iowan, AKA Mizz, AKA Mr. Wax was a original member of the Asylum as well as a Rydas Records artist. You can check out his myspace page here. This entry was written by KrAzY3, posted on May 12, 2010 at 7:38 am, filed under Random and tagged asylum, chaos, Geist, mack, mizz, spectre. Bookmark the permalink. Follow any comments here with the RSS feed for this post. Post a comment or leave a trackback: Trackback URL. I remember our political discussions in the old chat… I can’t think of a much more out of place venue for those types of discussions. You’ve also been to all kinds of interesting places so I’m sure you’ll have some interesting stuff to share. Good to have you here! Anyway, I set up your account and sent you the details on facebook in case the email got filtered out.